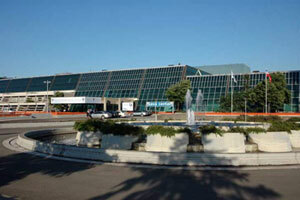 Sava Centar is the largest Congress, cultural and business centre in Serbia, as well as in the region. This Congress complex is situated in one of the most attractive parts of Belgrade, only five minutes away from the city centre and fifteen minutes away from the airport, alongside the E-70 Highway. For those coming by car, Congress Centre has a large parking area for more than 900 vehicles. The official languages of the Symposium are English and Serbian. Simultaneous interpretation will be provided. Deadline for abstract submission is 15. December 2011. For more information, please see the page Abstract Submission. Belgrade is a crossroads of Eastern and Western Europe, easy to reach by plane, train or bus and car. Nikola Tesla Airport is connected via regular routes to 39 destinations worldwide, served both by local carrier Jat Airways and by 18 foreign airlines. It is 20 minutes away from the City Centre and 15 minutes away from the Congress Centre, using Jat Airways buses, public transportation and taxi (average taxi fare from the airport to the city is around 15 Euros). Public transportation in Belgrade includes buses, trolley buses and tramways. Some of the busses and tramways connect Sava Centre with downtown and other parts of the city. Taxi transportation is the most convenient for visitors, with very reasonable prices. Local time in Serbia during the Symposium is Central European Time (GMT+2 hours).